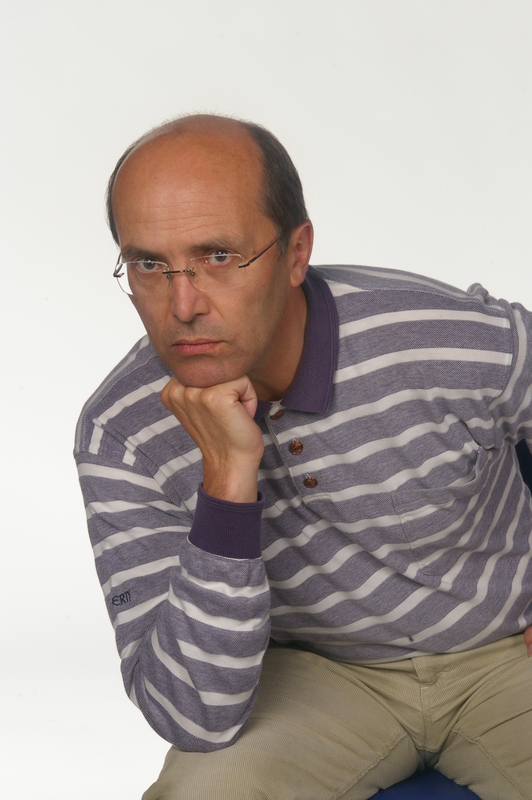 I have researched and curated numerous exhibitions. These include a touring exhibition to mark the centenary of the birth of Josef Herman (1911-2000) and unprecedented retrospectives of four south Wales artists born in the 1920s (Joan Baker, Ronald Lawrence, Bryn Richards and Ernest Zobole) and one born in the 1930s (Michael Freeman). I have also co-curated another two firsts: a retrospective of the Glynneath painter Ken Elias (b 1944) and of the Barry-based painter Alan Salisbury (b 1946). Those of Baker, Elias and Zobole toured Wales to major venues including the National Library of Wales. The Herman exhibition toured to the National Waterfront Museum. The Salisbury toured Wales too. 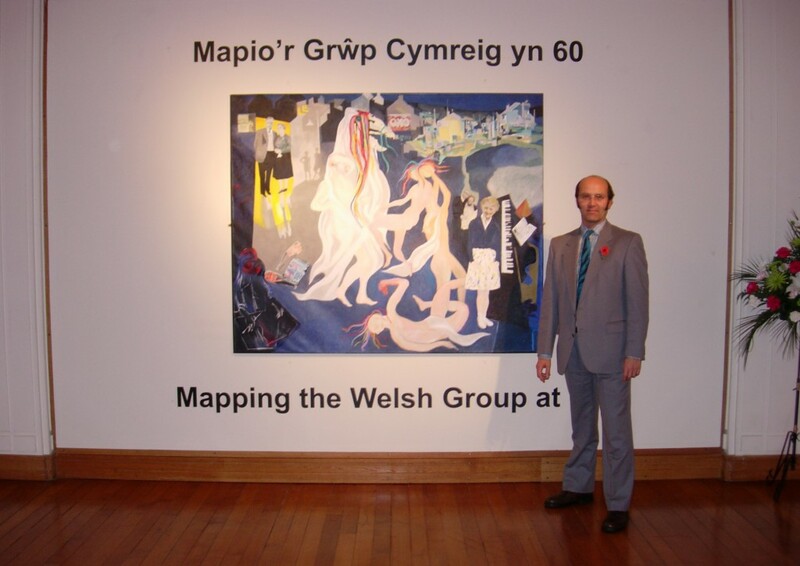 In 2007, I was awarded an Arts Council of Wales Individual Production Grant to curate, research and coordinate the Welsh Group’s sixtieth anniversary exhibition which I called ‘Mapping the Welsh Group at 60 / Mapio’r Grŵp Cymreig yn 60’. It toured Wales in 2008-09. 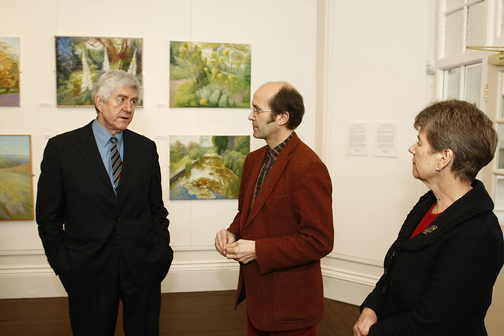 Joan Baker’s retrospective began at Oriel y Bont, whilst those of Freeman, Lawrence and Richards were shown solely at this originating venue. Other one-person shows curated at the gallery include those of the printmaker Ian Grainger (1942-2007) and the painter-printmaker John Selway (1938-2017) who was awarded an honorary doctorate by the university in July 2017. At Oriel y Bont, I curated several two-person exhibitions as well: those of photographers Paul Cabuts (b 1956) and Ray Klimek (b 1955), each of whom I paired with Ernest Zobole; that of the painters Brendan Burns (b 1963) and Chris Nurse (b 1962); that of the artist Valerie Coffin Price (b 1953) and the T S Eliot award-winning poet Philip Gross, in a collaboration titled ‘The River Next Door’ inspired by the River Taff. Six years ago, I curated two related exhibitions of the ‘breakaway’ 56 Group (Wales) at Oriel y Bont. The first, held in the winter of 2012-13, ’56 Group – Then’, presented works by the twelve founder members. The second, mounted in mid to late 2013, ’56 Group Wales – Now’, presented works by the current members. The winter exhibition at Oriel y Bont for 2013-14 was ‘In Our Own Image? A Century of Imaging of and in South Wales: 1910-2013’. It marked the centenary of the University of Glamorgan and its rebirth, following merger with the University of Wales Newport, as the University of South Wales. It was primarily based around paintings, sculptures and photographs from the university’s art collection museum. In 2014-15, the Oriel y Bont programme included the group exhibitions ‘Dylan Thomas Centenary 1914-2014: Prints by Swansea Print Workshop’ and ‘Fuse 2: David Barnes, Paul Cabuts, Chris Nurse, Andreas Ruethi’. In 2015-16, the Oriel y Bont programme included the group exhibition ‘Fuse 3: Natalia Dias, Carol Hiles, Celia Jackson, Lisa Krigel, Tiff Oben/Tom Goddard, Heather Parnell’. In 2016-17, the Oriel y Bont programme included the group exhibition ‘Coal Society’ (my last as curator at the university) which was part of a collaboration with Wolfson College, Cambridge. It drew upon works produced over the last one hundred years from the university’s art collection museum and loans from the Josef Herman Art Foundation Cymru and elsewhere including the contemporary artist Hilary Powell (b 1977).